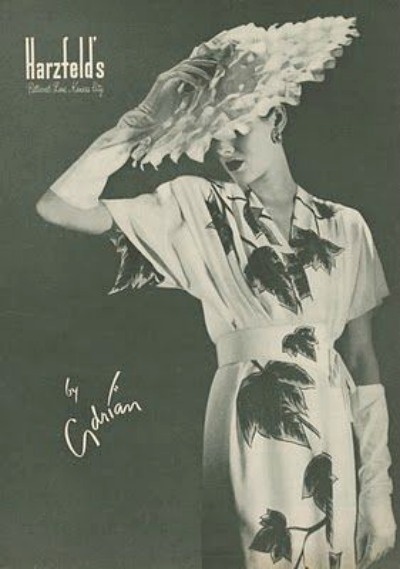 Although Gilbert Adrian retired from the fashion industry in 1952, his costumes and gowns would set the standard for 1950's glamour and costume designing. As one of the leading American fashion designers, the style he brought to the silver screen easily conveyed to couture fashions as well as to the everyday fashion world. His fashion design genius developed early with his extravagant creations from scraps of felt, lace, and ribbons found on the shop floor of his parent's millinery emporium. This gift would often be appreciated in his costume designing career. Born in Naugatuck, Connecticut on March 3, 1903, Adrian Adolph Greenburg's first public display of artistic skills was a kindergarten drawn colored chalk mural. The elaborate circus scene was complete with a steam puffing calliope, a uniformed marching band, and carriages pulling cages of lions, zebras, and elephants. These talents were further bolstered by Gilbert and Helena Greenburg's artistic inclinations and with their blessings he promptly enrolled in Parsons School of Fine and Applied Art in 1921 after high school graduation. Working as a set designer in summer theater at the Gloucester Playhouse while awaiting the fall term, the burgeoning designer decided to drop the Greenburg surname. In deference to his father's feelings though, he adopted his first name. Thought by his teachers and fellow students to be the most brilliant of his class, his parents allowed him to advance his studies at the Paris branch of Parsons. He completed his schooling in July, 1922. After working on Broadway for Irving Berlin from 1922 to 1924, he would accept an offer from Cecil B. DeMille to move to Hollywood and design costumes for Rudolph Valentino's next picture. The first screen appearance of "Costumes by Adrian" was in Paramount Pictures and Valentino's 1925 silent film production of "Cobra." He was flooded with job offers after his ornate stage design prologue for the Grauman's Chinese Theatre premiere of Charlie Chaplin's 1925 "Gold Rush" was celebrated as a smash hit. Seeking a producer who would give him the most creative leeway, he chose the famed Cecil B. DeMille. With a calm expertise and precise efficiency, he began to design fabulous costumes that were sought by top film stars Greta Garbo, Norma Shearer, and Joan Crawford. 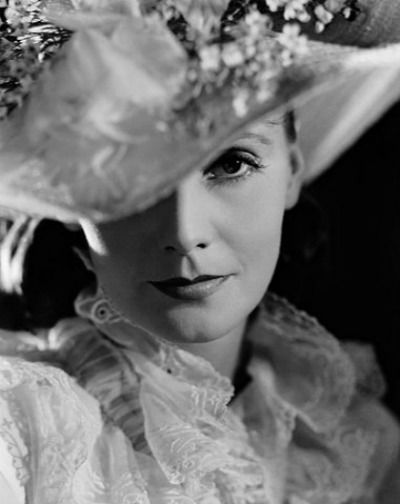 Garbo's "Mata Hari" costumes gained him the most notoriety. He was able to work whenever and with whomever he chose and designed for all the important pictures of his time. He was credited as costumer for twenty films in 1930 alone. In preparation for the four thousand designs needed for his most elaborate production, "Marie Antoinette", France's museums and libraries were haunted as he immersed himself in eighteenth-century history and lifestyle. 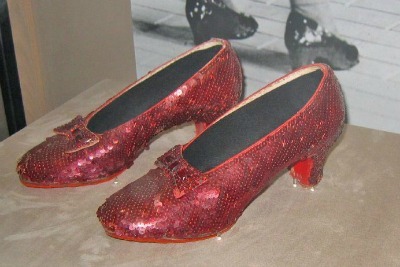 Painstaking preparations were made for the first color film he tackled - the very successful 1939 film "The Wizard of Oz. This dedication set the tone for all of his professional endeavors. After a dispute with the costume designer during production of "Daddy Long Legs", popular actress Janet Gaynor demanded Adrian take over her wardrobe and costume designing. A friendship developed that led to their elopement and marriage in 1939. For Janet's 1940 pregnancy with their son Robin, a crisp and colorful smock over a slim skirt with a front panel cut-away for the expanding belly was designed by the expectant father. The design was a fashion sensation when photographed in Vogue. After his 1941 retirement from MGM Studios, Adrian Ltd. was founded in Beverly Hills, California. One of his first collections included a sequin studded gingham checked swing coat. Considering gingham elegant, he included the cheery checks in each collection. Ever the professional, he was recipient of the 1944 Coty Award for fashion. Although he continued to design for films, his rapidly expanding and successful couture and ready to wear lines became his primary focus. His talents were far ranging and included architecturally sculptured suits with wide padded shoulders as well as softly draped silk evening gowns. 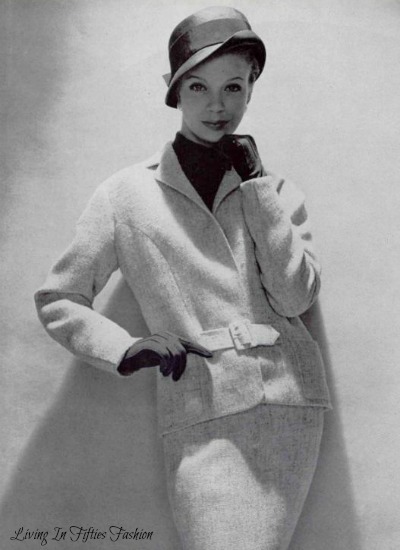 One of his simple coat creations was the first use of the fabric named Lesur's "Poodle Cloth." The loopy bouclé or knotted yarn cloth resembling the coat of a french poodle would become a 1950's fashion sensation. Retiring from films and his studios after suffering a heart attack in 1952, he and his family relocated to a large estate in Brazil. He was persuaded to return to the United States to design for the musical "Grand Hotel" and then while preparing sketches for the Broadway production of "Camelot" suffered another attack and died on September 13, 1959. Adrian is credited with designing for over 250 films with his "Gowns by Adrian" considered a fashion industry mark of excellence.